→Why Painters and Window Installers are Installing EZRvents? Painting and Home Improvement Contractors are finding Replacement Vent Products are an easy way to add another revenue stream to their business. 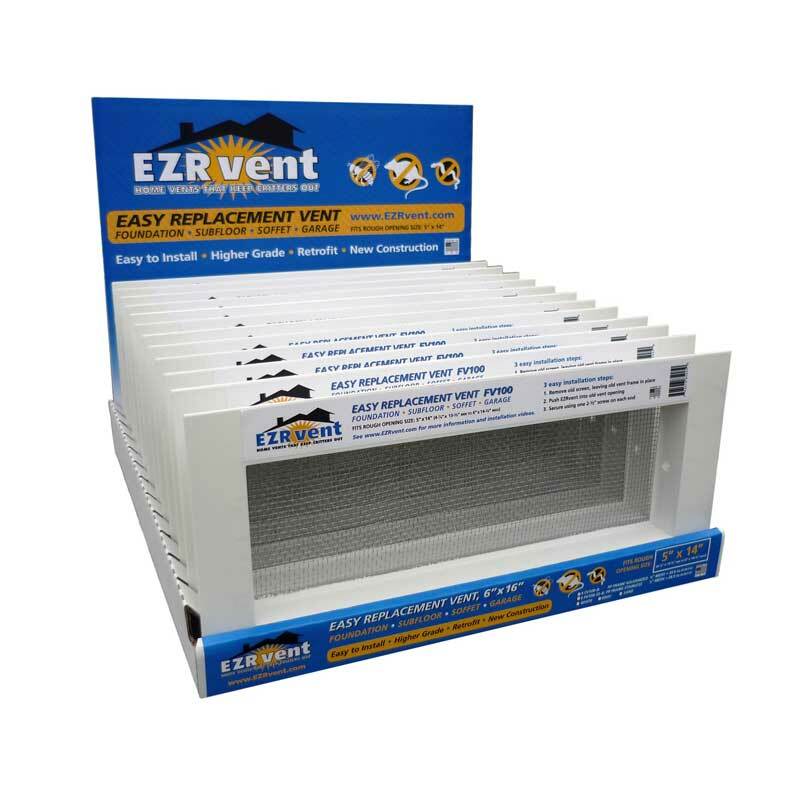 Installing EZRvents is an easy way to replace and upgrade rusted out foundation vents, garage vents, and attic eave vents that are in need of replacement on older homes or to add a finished look to your job on newer homes as an upgrade. EZRvents also perfectly complement vinyl windows and doors. Installing EZRvents is a significant net savings cost advantage per job even when compared to installing bare mesh. For this reason, we recommend installers charge per job and not per hour rates. Typical complete EZRvent retrofit installation takes a little over one minute with no stucco or siding work required. As seen in our video installation is quick and easy; requiring low effort, standard tools, and low skilled labor to produce a high value finished solution.